The concept lets people play video games behind the wheel when the CUV is in autonomous mode. Auto Shanghai is a major event for Chinese automakers, and Chery arrives to this year’s show with the Tiggo Sport Coupe Concept that looks ready to compete against stylish compact crossovers like the Toyota C-HR and Nissan Juke. Chery uses the Tiggo branding for its range of crossovers, and the sport coupe concept would be a trendy addition to that lineup. A strip of LEDs running just underneath the hood dominates the front end and connects the headlights. Large intakes at the corners lend a sporty appearance, and tow hooks in the lower fascia take touches from rugged off-roaders. In profile, the Tiggo Sport Coupe has a distinct similarity to the C-HR, particularly the silhouette over the hood and up the roof. Heavily sculpted fenders also underline the model’s sporty aesthetic. The rear adapts cues from the front. For example, a strip of LEDs stretches across the entire width of the back and connect the taillights. The outlets at the corners pick up the shape of the ones in the face, and there is another pair of tow hooks in the bumper. Inside, the styling leans towards minimalism by eliminating most buttons from the cabin. Instead, a pair of digital screens serves as the instrument panel and infotainment display. Chery doesn’t offer any powertrain details, but the concept would feature the company’s autonomous technology, which is currently under development. When not in control, drivers would be able to play video games from behind the wheel, including a removable Bluetooth headset for “a realistic game experience,” according to the company. The FV2030 concept at Auto China last year previewed the Tiggo Sport Coupe’s general shape but had more avant-garde styling. They have a similar silhouette. However, the FV2030 incorporated futuristic elements like gullwing doors and a polka dot covering over the sides. On the evening of April 17, 2017, "Experience the future with Chery - 2017 Chery’s Night" was opened in Shanghai Vango Sports Center. Chery’s 20 years of technology and brand accumulation has led to this great event. The Tiggo Sport Sedan Concept SUV representing the forward-looking car making was released, Tiggo 7 SPORT was launched into the market ... Hot spots one after another lit up "Chery’s Night", and opened a wonderful infinite “Experience the future with Chery" in the dialogue between the present and the future. In the site of "Chery's Night" activities, the "City of Technology" and "City of the Future" built by the stage and gorgeous lights stood face to face: one representing Chery’s latest technology research and development result in this stage, the other representing its future technology strategy planning. Raymond Bierzynski, Vice General Manager of Chery Auto, and Damien Sotty, Chief Inspector of Power Assembly of Chery Shanghai Technology Center, Dr. Wayhe W, Assistant of General Manager of Chery Auto and Executive Director of Product Technology Center, Dr. Lu Weiyi, and James Hope, Executive Director ofDesign of Chery Auto, etc. appeared on the stage by turns. Through the form "Dialogue between the Present and the Future", they offered an in-depth interpretation of Chery’s platform technology, power technology, intelligent technology, the design concept of Tiggo concept car, the technical highlights and future planning, bringing everyone a brilliant technology feast. These key technologies supporting the positive development have shown Chery’s in-depth thinking on the future living ways of people with cars, and strength for creating the core brand value of "FUN to Drive". Judging from the technical results released on the spot, Chery’s 2.0 stage of strategic transformation covers many model platforms such as T1X for SUV andM1X for SEDAN. Its next stage, 3.0, will cover more models and brands, including A3X and M3X, so as to build up a "platform matrix" able to derive various types of products, compatible with different use functions, and supporting different energy drives. Chery’s second-generation power assembly technology is presented by the 1.5 TCI engine used on Arrizo 7 and Tiggo 7 and the DCT gearbox to be loaded on Tiggo 7 SPORT; the third-generation power assembly technology will also have 1.2TGDI and 1.6 TGDI engines and a variety of new energy power systems, to achieve the perfect balance between power and economy, and provide a highly flexible surging momentum for Chery’s next-generation products. Following the tide of artificial intelligence, large data and cloud computing, Chery is focusing on the development of the next-generation automatic driving technology based on its successful development of intelligent interconnection technology such as automatic car driving and car interconnection; meanwhile, it is also developing the smart interconnection technology supported by the "black technology", such as BVR (beyond visual range) detection V2X technology (V2X is the general term of vehicle to vehicle V2V, vehicle to infrastructure V2I, and vehicle to person V2P), eye tracking, facial recognition, augmented reality, etc, to build up a new ecology of smart and mobile traveling. All these advanced intelligent technologies full of a science fiction style and a sense of the future, are planned to be used in Chery’s new-generation products continually for mass production before 2020. This year, the highlight of "Chery's Night" is the debut of a new concept car - Tiggo coupe concept SUV. It represents Chery’s forward-looking vision in brand, design and technology, interpreting Chery’s ideal for the future Tiggo SUV. Just as Peter Mueller, Executive Vice President and Brand Strategy Minister of Chery Marketing, said, at the opening ceremony, the 20 years since Chery's establishment was the 20 years of rapid growth and dramatic changes in China's auto market. The younger generation of consumers are rising, and they are just Chery's target group. 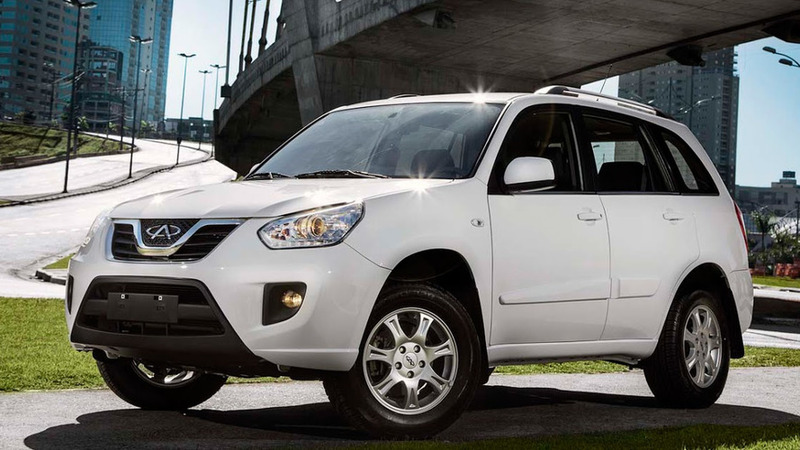 Therefore, in recent years, Chery’s new generation of products represented by Arrizo 5, Tiggo 7 and Tiggo 2 became more youthful and fashionable in the 2.0 strategy. 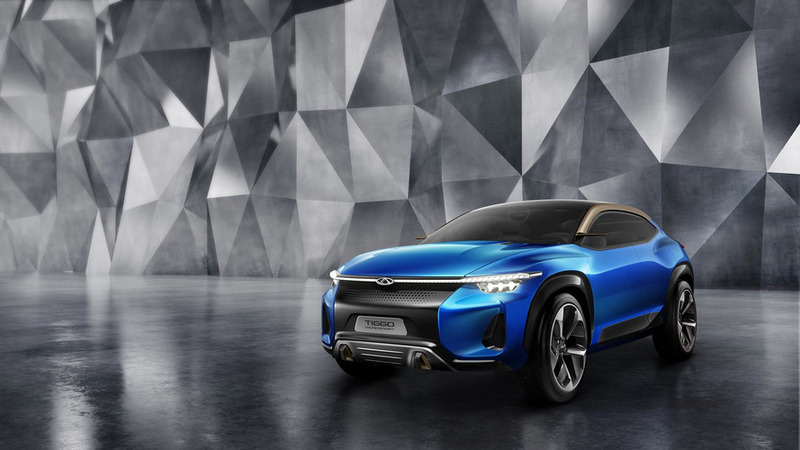 From Chery brand future concept car released in the Beijing Auto Show last year ----- FV2030, to this year's Tiggo coupe concept SUV, Chery has been hoping to march forward in a more forward-looking vision, and make efforts for leading the development trend of the car. The outline of Tiggo coupe concept SUV is a coupe shape, full of sporty sense, and its long wheelbase looks more stable. The four doors are in a side-by-side design, not only looking stylish and cool, but also being more convenient for rear passengers to go in and out. The designer has further used Chery’s H ? D ? S flexible dynamic water flow design concept onto the car, while drawing on some popular elements and fashion design elements in the trend of daily consumer goods. It has an extensive use of lightweight materials, and breathable materials, plus the bright colors, highlighting the Chery’s forward-looking and unique design DNA. Many technical details of this concept car can reflect its ingenuity. For example, the multi-function steering wheel can be controlled as a normal steering wheel, but can also play virtual video games as a game operator in the automatic driving mode. Plus the 4D seat fluctuations and rotation and the removable portable Bluetooth headset, you can enjoy a realistic game experience. 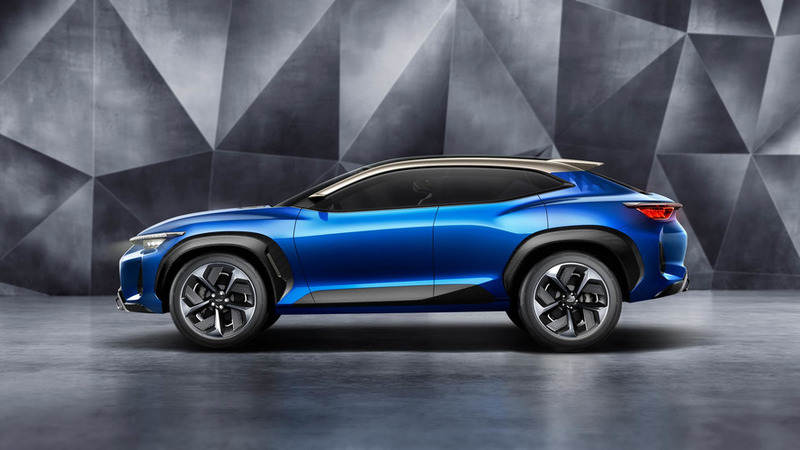 It can be said that, the Tiggo coupe concept SUV with the forward-looking vision has fully interpreted the "FUN TO DRIVE" brand image, conveying a youthful, fashionable, sporty and innovative atmosphere, and reflecting Chery’s deep insight into young consumers.